Archaeologists are frequently referred to as" grave robbing rag and bone men" but a great deal of what we know of the past results from the grave robbing of the ancient dead. This then raises a question in Britain as there has been near total neglect of the organized identification of the ancient royal graves. It is a fact that seeking out and examining the tombs of ancient Kings of Britain is an embarrassment to the London Regime, and this has become even more obvious since these British Historical researches began in 1976. If we look at the ancient 'Songs of the Graves' we find that this old poem contains clear place references to some 25 tombs of the illustrious dead of the British. There are also numbers of other references scattered through the ancient epic poems and records detailing precisely where the famous Royal dead are buried. It remains extraordinary that what passes for academic research in Britain completely ignores the entire existence of the ancient royal families of the British Nation. This may well be because the senior ancient royal family resided in South East Wales on the north banks of the Severn and not in South East England on the banks of the River Thames. The outstanding example is where King Arthur II is obviously Natanleod and the foremost king of British who was killed in a battle with the Saxons at a river ford. Anglo Saxon Chronicle AD 508. The same story in much greater detail is in Llandaff Cathedral Charter where King Tewdrig resigned his throne to his son Tintern and went to live at Tintern on the river Wye. The Saxons made a raid across the river, and the retired King gathered the locals together and blocked the ford across the river. This prevented the Saxons from escaping as King Maurice raced to intercept them. In the desperate fighting Theoderic was wounded on the head. He was placed in a cart and he wished to be buried at Echni Island (Flat Holm) in Cardiff Bay. He died at the well at Mathern and so they buried him there in a stone coffin and built a church over him. He has been excavated twice in 1617 and in 1881, and his skull has a large wound. As it is possible to find Arthur II's grandfather the question has to be "what is so difficult in finding King Arthur II? Why not find a lot of others? This is one of the projects that occupied Alan Wilson and Baram Blackett over the years. Arthur I was easy as the twelve ancient place references to his tomb are straightforward. The great scraped out ditch is Offa's Dyke, the great road is Watling Street, Gwrtheyrn Strata, and so on and the ancient great cemetery of the British where multitudes of the illustrious of the British are buried is simple. Arthur II has the best recorded funeral in ancient British History, and the only problem is the Government and the academic "traffic cops" with their No Entry signs. King Arthur's father King Meurig-Maurice is the Utherpendragon buried in the giant circle at Caer Caradoc. 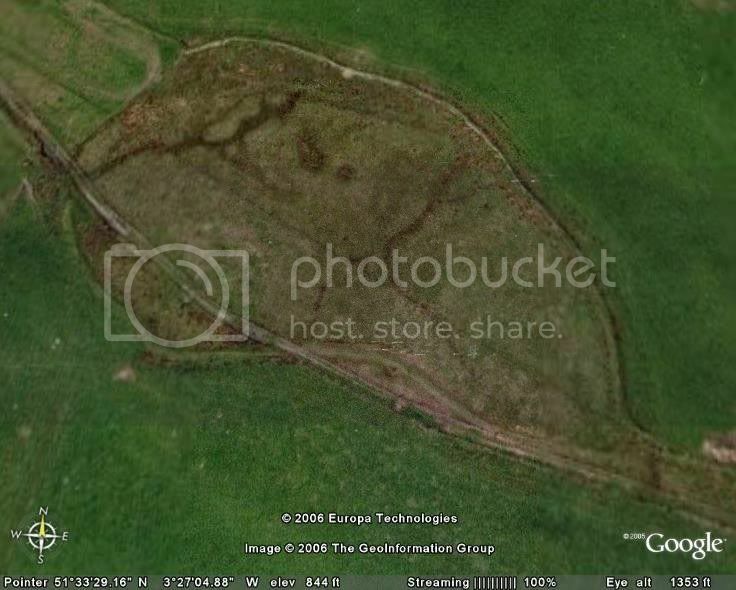 There is a giant boat shaped 'Circle' at Caer Caradoc remains Caer Caradoc and it is not Stonehenge as the lunatic idea's In England proposed. [center] [/center] Other royal and illustrious tombs were located and it is abundantly clear that this accurate research is a huge embarrassment to the London Establishment.